Read Fantasy Desserts' full response below. Thanks to the Internet and social media, many companies have opened themselves up to customers to review their products and services. However, what does one do if they get a negative review? One dessert shop called Fantasy Desserts at Orchard Gateway demonstrated what you should not do when they threatened to sue a customer over a 2-star review. 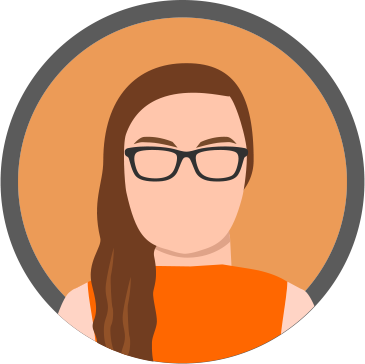 The founder and director of the shop, Sara Lim then took it upon herself to respond personally to the review using her own personal account. An hour later, Ho posted an update on her page claiming that the company had deleted her review. However, Fantasy Desserts disputed this and said that "reviews cannot be deleted". Ho's post on her own Facebook page with screenshots of her review and correspondence with Fantasy Desserts has since gone viral with over 844 shares. Several netizens have called to boycott the dessert shop after seeing how they handled the situation. The shop then tried to explain why they thought Ho's review was "fake". Ho then clarified and apologised for making the mistake and said that she did pay $10.90 for her dessert after all. However, Fantasy Desserts then said they would look into the matter properly and asked for the date and time she visited the stall so that they could check their CCTV. Their attempt to apologise again was met with more criticism as they reminded Ho on her mistake on the price and blamed the matter on "one huge misunderstanding". Despite all this, it appears that the shop's director, Lim has not backed down and has posted several videos and photos of her desserts in the comment section of Ho's post. Sara Lim of Fantasy Desserts personally reached out to Stomp to publish her account of what happened. 1. Celena posted a review on Fantasy Desserts, with a false price of spending $12. 2. We do not sell anything at $12, hence, I personally thought that she has given a fake review. 3. I replied using my personal name thanking her for her "fake review" on the company FB page, as we do not sell any items at that price. The only reason to why I was have thought that it was fake, was because we do not sell anything at $12 at the shop. It was an inaccurate misrepresentation of my company. And my natural reaction was to protect my company. 4. Celena got excited, became even more malicious and posted this on her FB profile. Asking people to BOYCOTT our company due to this reason and said that we called her review a "fake". Then accused the company for paying bloggers for fake paid reviews. Accused us for deleting her 2 star review - Biz pages cannot delete any reviews, both good and bad, facebook does not allow that. Accused us for treating our customers like dirt. 5. We wrote back by the company account stating that "we have the rights to sue her for false misrepresentation of the company and for trying to ruin the company reputation on purpose". 6. Celena then updated her post stating that we "threatened her", which we did not. Stating that we have the rights to sue her, and going to sue her, has 2 different meanings. 7. Since she has posted these allegations on her FB profile page, we received multiple fake 1 star reviews from random strangers who did not visit our store, hence we paused our review option on FB. But nothing is deleted, we still can't do that. 8. The company has since apologized to her publicly for being "harsh" for calling her review "fake" on her page, offered her a full refund, or another egglet. Despite the fact that she has no proof till now, that she has visited the store. No receipt was shown, no time and date for us to check our CCTV. Picture shown by her was already half eaten, without her face, or any proof that, that image was even real. We still don't know if she's a real customer or just a trouble maker. 9. I have made the effort to PM privately to apologize and to clarify and rectify the situation, since Sunday 6.20pm, as seen below. But she chose to be malicious and continue to accuse us for treating her like dirt, just because she's not a blogger, etc. 10. In summary, we have admitted mistakes made on our part and been trying to be civil and rectify the situation with her for more than 24h. Kindly seeking her understanding and to request to have her remove the post on her FB. But she chose to be spiteful and chose to continue to ruin the image of the company. 11. Hence, I had no choice but to send her a letter. As given below. If she really had the good intention to help businesses to improve, from reviews or feedback, like what she said she was trying to do. She would not be using words like "cheap sugary candies", "better off spending your $12 on a good quality gelato elsewhere", such statement is already malicious and spiteful in the first place. On top of it, as stated, we do not sell anything at $12, hence that resulted me to believe that her review was fake. We have no issues receiving bad 1-2 stars reviews from our customers, if their statement was true and accurate. That's the only way whereby we can keep track of our staff, their customer service and quality of our food. But like every other business, we do not appreciate fake reviews or responses that are malicious and disparaging, baseless and untrue, unjustifiable and outside the realm of fair comment. 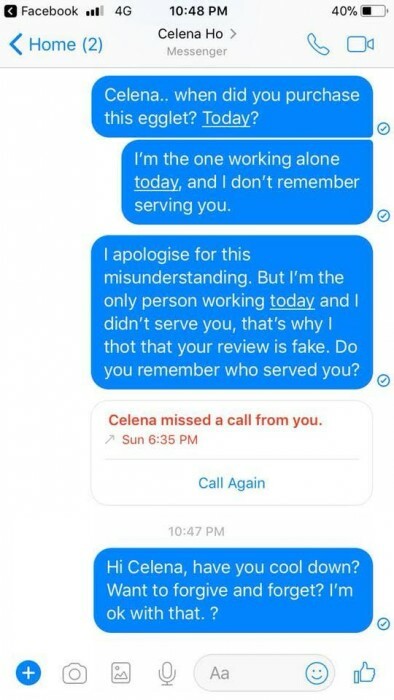 Our company did not "threaten to sue Celena for a bad review". We stated that " we have the rights to sue her for false misrepresentation of our company" as she had made some false accusations of the company on her FB profile page. And if she claims that we are threatening to sue her due to a "bad review". That is highly inaccurate. d. That we actively remove negative reviews/feedback from patrons/customers. d. “I guess that’s how they maintain “positive” reviews on their page”; and e. “pays bloggers for positive reviews”. Just like any other company, we don't have a perfect record, we have other 2-3 star reviews with productive feedback too, to highlight to us on what we may improve on, and we are ok with that. We would accept it and try to constantly improve.